how to apply a slight green tone to a b&w photograph ? thanks for help but I cannot find "colors tools" ! They are not in Tools. 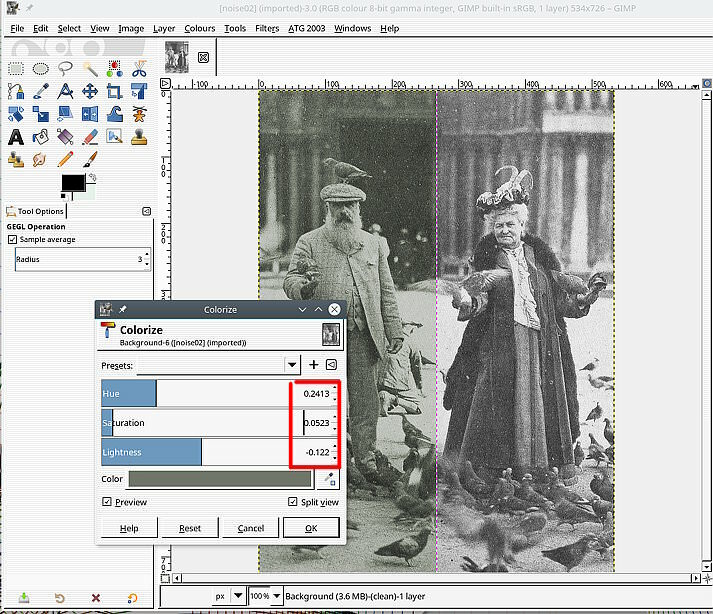 first, to convert colored picture to b&w, I set "Picture, mode, grey levels"
So you are in grayscale mode. 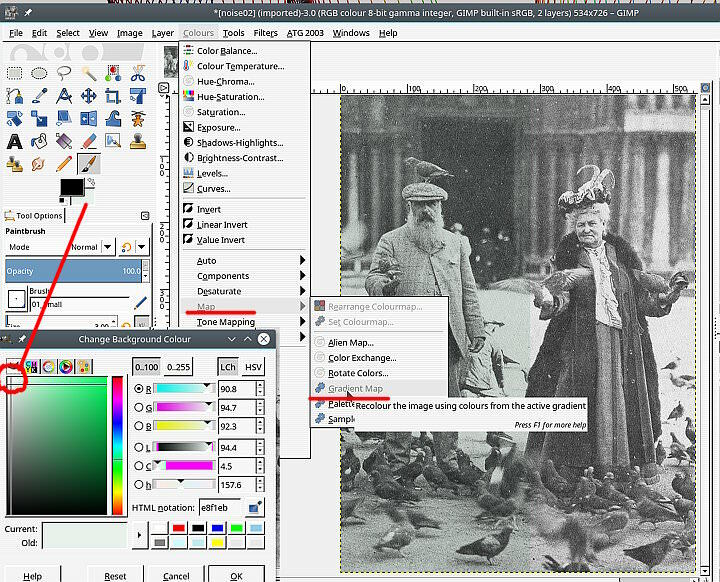 You should remain in RGB mode, and get a B&W image with Color>Desaturate. ok, what is the best in "Desaturation " ? Color to grey levels or "Desaturate" ? (11-21-2018, 04:44 PM)quand Wrote: ok, what is the best in "Desaturation " ? Color to grey levels or "Desaturate" ? There is no best or right or wrong. Try them and all and pick the one you like best. Current time: 04-22-2019, 10:12 PM Powered By MyBB, © 2002-2019 MyBB Group.